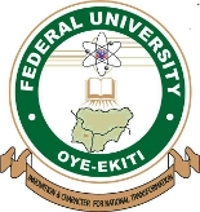 Federal University Oye-Ekiti, [FUOYE] Pre-Degree Acceptance Fee and Payment Guidelines for 2018/2019 Academic Session. All Candidates offered provisional admission into the Federal University, Oye-Ekiti (FUOYE) pre-degree programme for the 2018/2019 academic session are hereby informed to proceed with the payment of acceptance fee. All admitted candidates are required to pay a non-refundable sum of Thirty thousand Naira (N30,000.00) only as Acceptance Fee on or before Monday, 15th October, 2018. Acceptance Fee should be paid via Bank Draft.